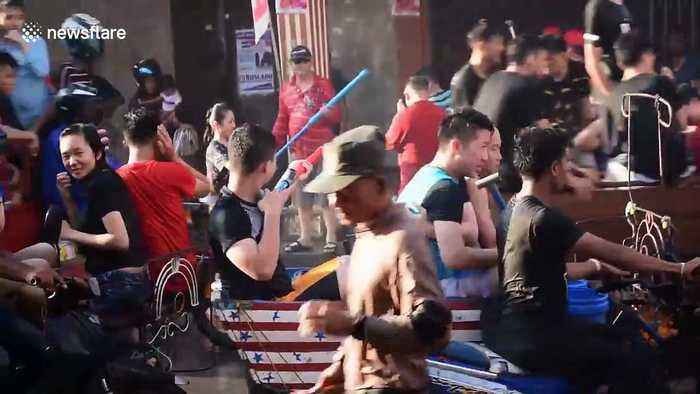 Hundreds descended on Meranti island in Indonesia for the annual water-splashing festival to celebrate the Chinese Lunar New Year. The festival brings locals and travellers together to splash water on each other and is believed to wash away bad luck. 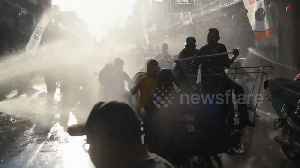 Footage captured on February 11 shows people dousing water at passers with hoses and water pots. The celebration takes place during the first six days of the first month in the Chinese calendar.